The summer months bring about a few birthdays for some close friends, all women who of course all love chocolate and sweets! Since my stock of handmade birthday cards, I searched through my collection and pulled out one I LOVE that I’ve been hoarding lovingly been holding onto for the perfect use. 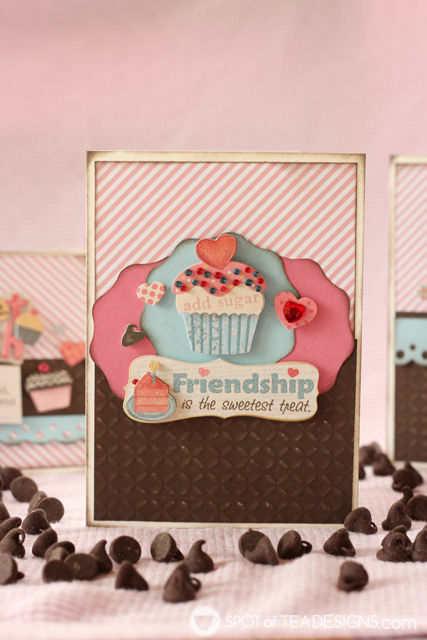 I mean how cute are these cupcakes and sweet treat themed designs from K&Company? 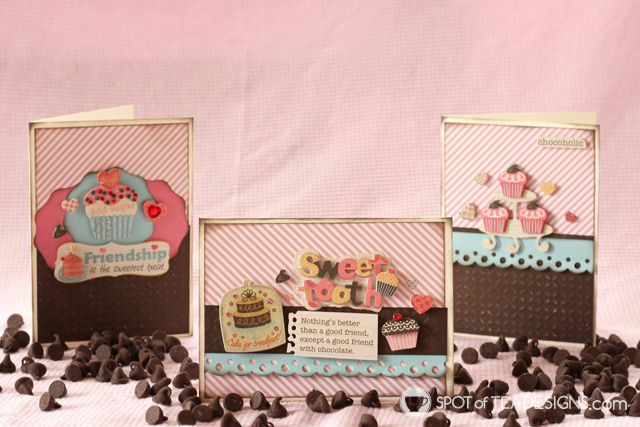 Pair them with some great stripes and textured patterned papers and I was good to go with a few new card designs for my dessert loving friends. Happy Birthday Aimee, Allie and Vanessa!